Clogged sewer lines come with a broad range of risks, from angry customers to public safety hazards. Whether the clogging is caused by sewage backup or natural disasters such as landslides, mudflows or floods, we have the proper equipment and expertise to quickly and safely respond. 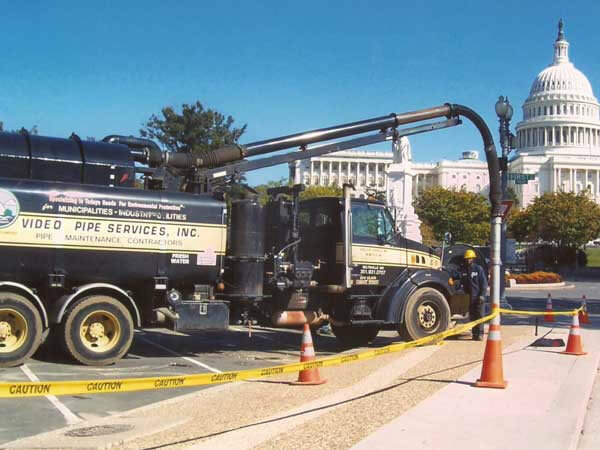 Our customized jetting equipment sets up in minutes and rids your sewers of blockages more quickly than any other method available. Turbulent action of water pumped at up to 165 gpm through specially designed nozzles at pressures up to 2,500 psi literally scours your sewers clean. Obstructions and debris are removed without any damage to sewer walls whatsoever. 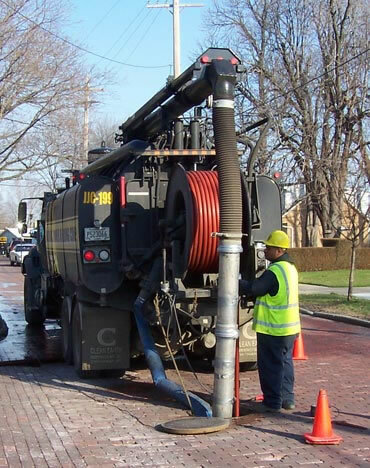 For fast, effective cleaning of your severely clogged sewer lines, we use specially designed, machine-driven buckets and scrapers that are specifically sized for the pipe being cleaned. Our extensive power bucketing experience is unmatched in the industry.